Airtel shares fall as Econet seeks $3.1billion in damages. Airtel shares have fallen by as much as 4% as African telecoms operator Econet Wireless yesterday sought 3.1billion dollars in damages from the Indian company with whom it is locked in a legal battle over control of its Nigerian operations. Bharti Airtel termed the developments “grossly spurring and misleading” claiming it had no notice or detail of any such action by Econet. “All such baseless claims are bound to be fully rejected. We have full faith in the Nigerian Legal System” Bharti said in a statement on Wednesday. 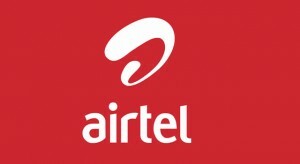 The move follows a Nigerian court ruling on Jan. 30 that Bharti Airtel’s ownership of its subsidiary Airtel Nigeria is “null and void” because co-founder and 5 percent shareholder Econet was not consulted on the transfer. Econet claims its holding was unfairly cancelled when Zain took control in 2005. Bharti said the stake had not been cancelled but had been “set aside” since 2006 pending resolution of the ongoing litigation. Bharti Airtel inherited the legal case as part of a $9 billion acquisition of Zain’s Africa operations in 2010, including 65 percent of Zain Nigeria. Bharti previously said its stake in the Nigerian unit was “completely safe” and it had appealed against the Nigerian court verdict. Bharti had also said at the time of the 2010 deal that it had “sufficient indemnities” in place in case of any problem with the transaction. Nigeria is the biggest of Bharti’s African markets and contributes about 9.5 percent to Bharti’s consolidated operating profit.